Whether you are buying or selling a property you need someone that can minimize the stress involved, explain the process, and keep you informed as the transaction progresses. The Single Tree R.E. Team works together as one, to stand above the rest. PRICE REDUCTION!!! !PRICE REDUCTION!!!!!!! 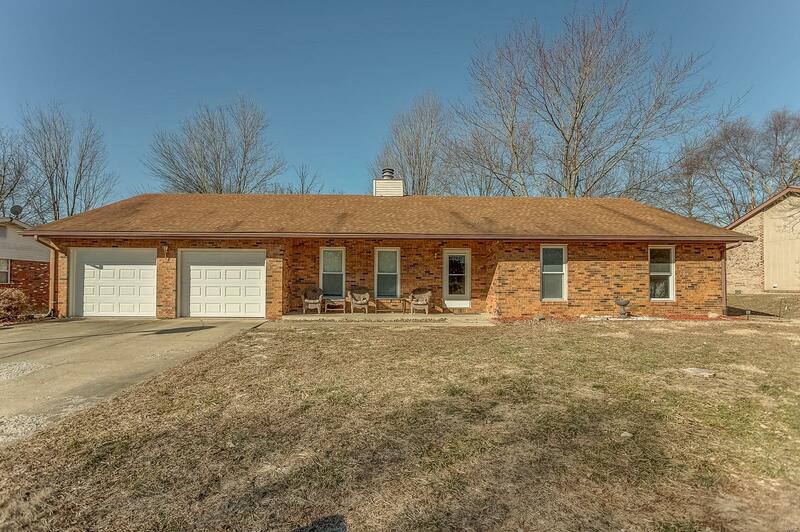 !Nearly 2000sf of living space is offered in this 4 bedroom ranch style home. The home has been painted throughout. A large family room is complemented with a floor to ceiling bricked fireplace. The kitchen has been completely updated with granite counter tops and Custom Cabinets and new Ceramic Tile flooring. Patio doors lead you out to the fenced-in private backyard. A master suite is complete with its own private full bath and a huge walk in Closet. Storage is not an issue in this home since there are plenty of storage closets and a 2 car garage. Its convenient location makes commuting to shopping, interstates, and Scott Air Force Base a breeze! Craig did a great job. He was very knowledgeable and always there to answer any questions I had. He was quick to respond and scheduled my viewings almost immediately. Made the closing process quick and easy! Would recommend him to anyone. Copyright 2019, Mid America Regional Information Systems, Inc.(MARIS). All rights reserved. Single Tree RE Team does not display the entire IDX database of Mid America Regional Information Systems, Inc. (MARIS MLS) on this web site. Property listings of some REALTOR® brokerage firms have been excluded. Listings displaying the MARIS logo are courtesy of the participants of Mid America Regional Information Systems Internet Data Exchange. Information provided deemed to be reliable but is not guaranteed to be accurate. Buyers are advised to verify all facts before making a decision on purchasing a property. No warranties, expressed or implied, are provided for the data herein, or for their use or interpretation by the user. Mid America Regional information Systems, Inc. (MARIS) will not be held responsibility for the content of such records. Last Updated On: 2019-04-19.